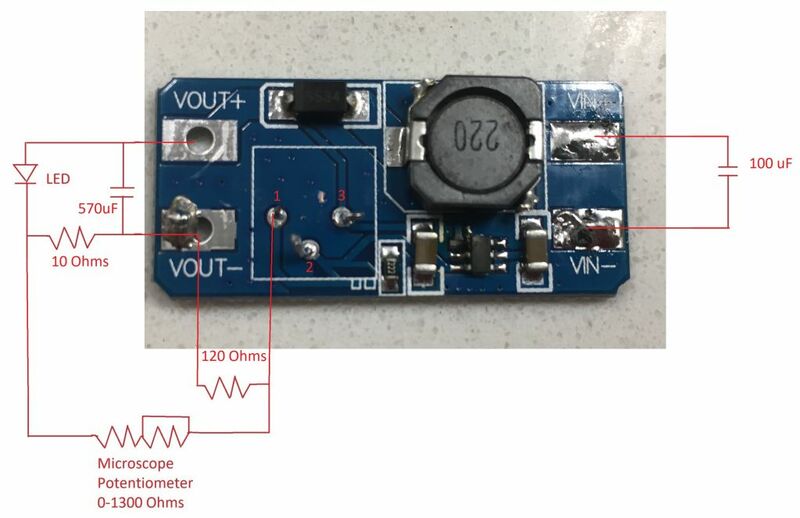 So your MT3608 schematic matches the top portion (printed) of the above schematic with the pot used as a proper potentiometer (3 terminal) rather than having the wiper shorted to a pin and used as a variable resistor (2 terminal)? The boards I bought were these. They definitely don’t match the schematic in that two pins are shorted together. That seems to have been the primary reason I failed boards although bad wiring may have also failed some. 2. The peak current output current no more than TV university. Seems these boards based upon the MT3608 are everywhere on eBay, different versions, and the sellers have no idea what they are or how they work! Since these boards are all (one's I've found) configured as boost switch mode regulators the output voltage must always be greater than the input, but I didn't find that spec anywhere either. That's what I was wondering, though having looked things up capacitors these days are a lot smaller than I thought. 1206 package is 3.2mm x 1.6mm x 0.55mm. They could be? 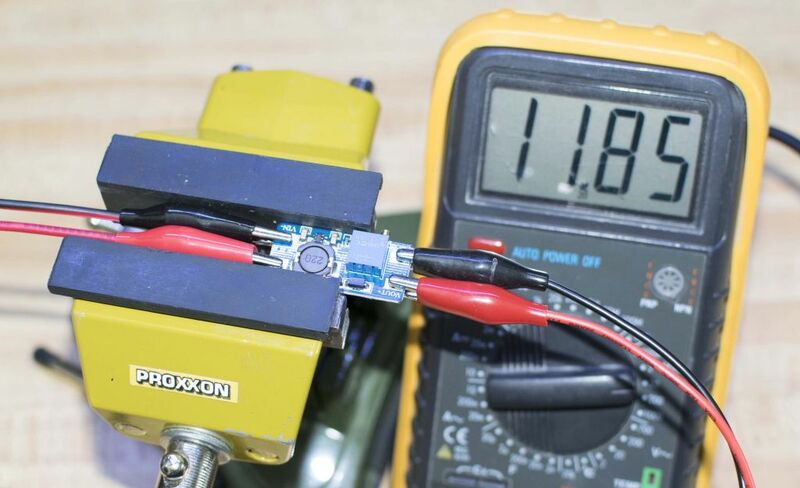 Don't think they can squeeze a 22uF cap with any reasonable breakdown voltage (would need to be >28 volts) into a 1206 package. My guess would be these are just decoupling for the ~1MHz switching frequency, so 0.1 or 0.22uF. I still have not tried the series 5 ohm resistor as I am looking for a suitable power rated resistor. They are 50W resistors which are obviously over-kill. There is a lot of room in the Labophot though so it doesn't really matter that they are too large. Interesting that the board I bought on Amazon is somewhat different. If I remember right Amazon delivered much quicker so I bought that one. Eventually it worked out, but was more trouble than I expected. 1. It is still a bit too bright at the lowest setting and its color is a bit off from what I would prefer, a blue filter should be able to fix both problems. 2. I still get ripple when using an electronic shutter at very high shutter speeds and high LED power. I can get about 1/1600 second with bright field and about 1/60 seconds with phase contrast on a 10X 0.25 NA objective though. This is really good enough I might just leave it as is. Adding some more capacitance may be able to fix the problem though so I will likely try. 3. It runs backwards. 1 is high and 6 is low. This isn't as annoying as I anticipated so I may not bother fixing it. Rewiring the pot should be able to fix it, but the one time I tried it seemed like the rewiring burned up my board. The pot is connected to some other circuitry which I haven't investigated, some adjustments may need to be made to that circuitry to make it run normally. I had a few spare minutes tonight to disassemble one of these boards to get an unambiguous out-of-circuit measurement. 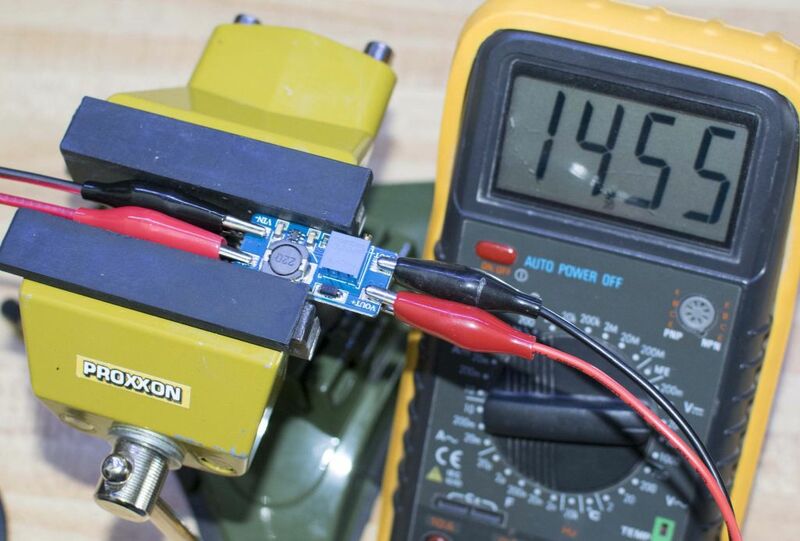 The two caps measured 11.3 and 11.8 microfarads shortly after unsoldering. Google search on 1206 capacitor and some quick scanning brought me to HERE which specifies a Murata GRM31CC8YA106KA12L as 10 microfarads, 35 VDC, 3.2mm x 1.6mm x 1.6mm, multilayer ceramic, $0.178 each in quantity 50. All those specs are quite close to the parts I have in hand, except the manufacturer of these boards is obviously getting them a lot cheaper than $0.17 each, considering I got 5 boards for $1.40 each, shipping included. The Wikipedia article on ceramic capacitors says that "The minimum thickness of the dielectric layer, which today (2013) for low voltage capacitors is in the size range of 0.5 micrometers..." Things have gotten tiny! Gerd posted an image of some capacitor (not these) at http://www.photomacrography.net/forum/viewtopic.php?t=34255 . Edited to add: see http://owenduffy.net/blog/?p=12250 for discussion of performance of various voltage booster cards. I'm surprised they can get 10uF @ 35V in a 1206 package, would have thought that 2.2~4.7uF @ 35V would be the largest cap in that size!! 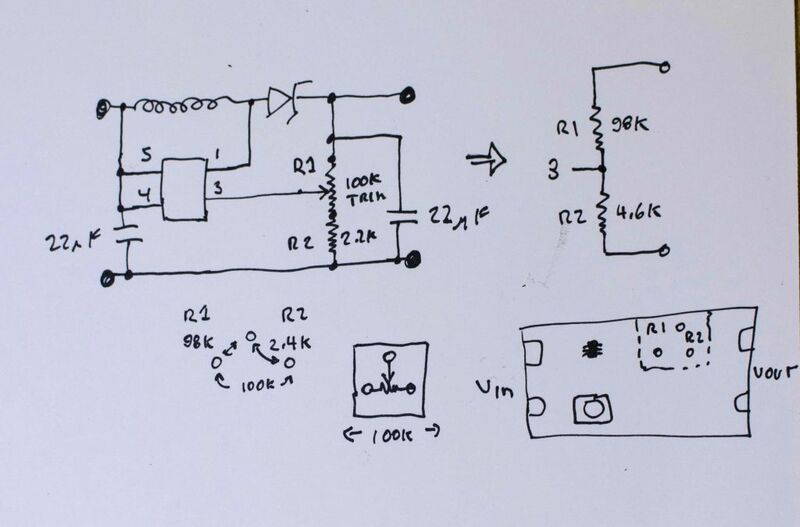 However, this a Class 2 capacitor (we never use Class 2 caps for obvious reasons). 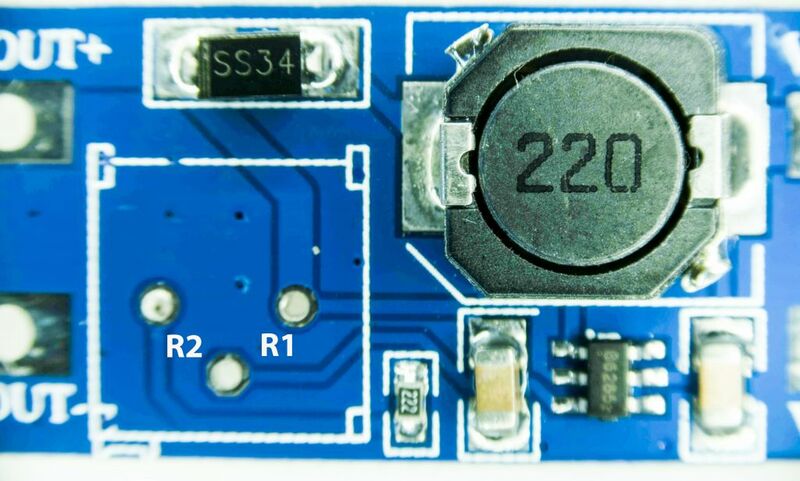 It's a really poor capacitor as shown, but for this cheap DC-DC converter, probably OK to use and keep the cost as low as possible. Used in smoothing applications : Due to the above properties they are used in applications like bypassing, coupling, decoupling.